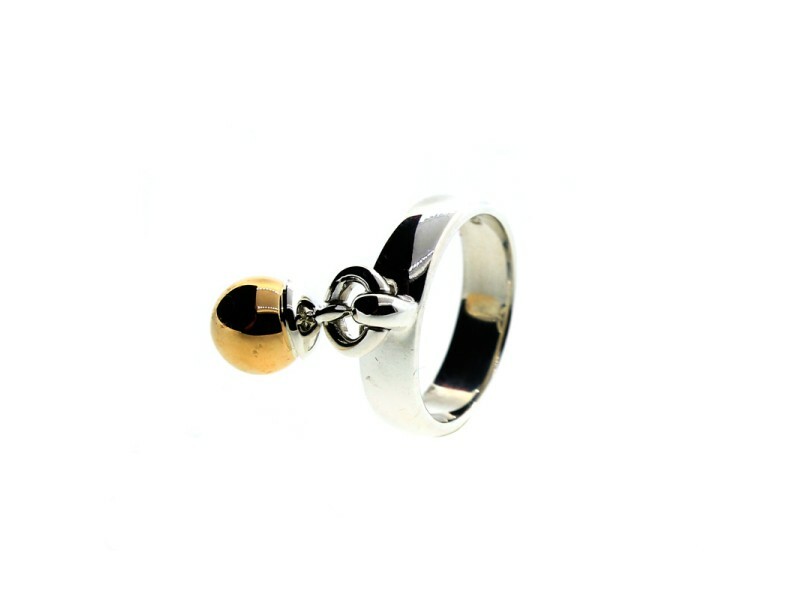 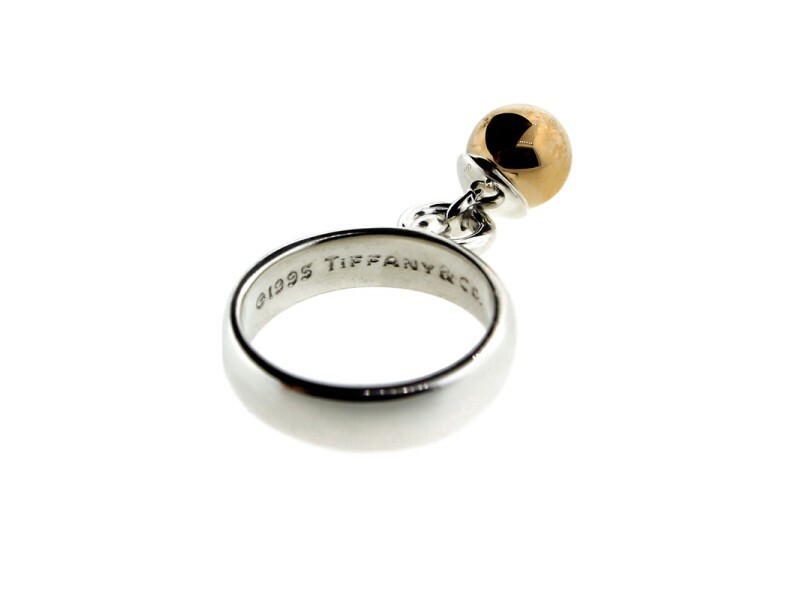 This gorgeous and rare Tiffany & Co. ring is set in sterling silver with an 18K yellow gold ball dangling. 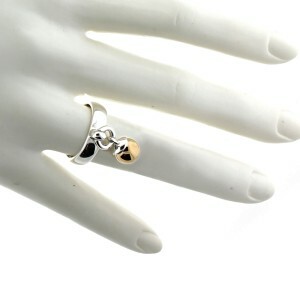 This ring will compliment any other jewelry that you may wear along with it. 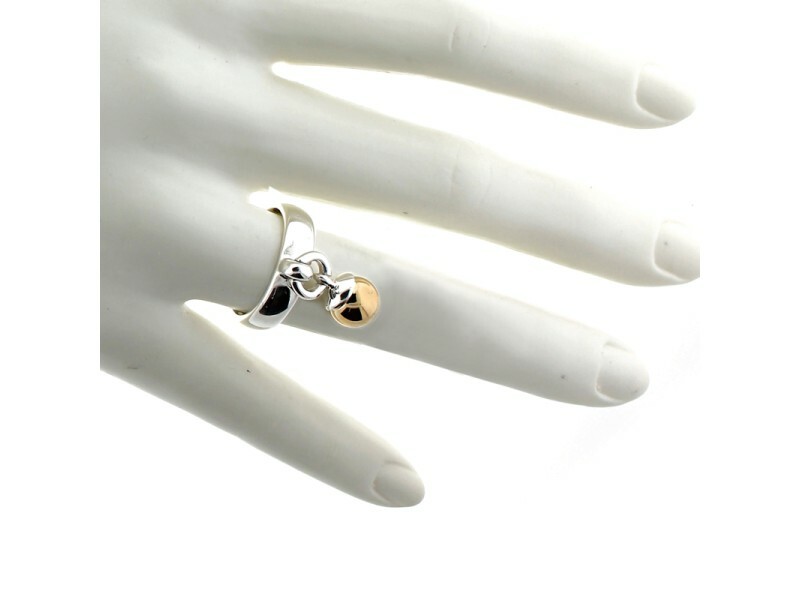 A perfect piece to add to your collection.